The mission of the Virginia Community College System is to provide comprehensive higher-education and workforce-training programs and services of superior quality that are financially and geographically accessible and that meet individual, business, and community needs of the Commonwealth. In addition, New River Community College believes that all people should have a chance not only to develop and extend their skills and knowledge, but also to increase awareness of their roles and duties as citizens. The college serves the educational needs of the public including both occupational/technical and college transfer courses. 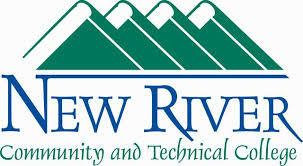 New River Community College assumes a responsibility to meet workforce development requirements in the New River Valley through a combined effort with local industry, business, professions, and government, including economic development efforts. The college is also dedicated to organizing programs with senior institutions as well as with those of local public school systems.